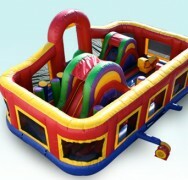 This combo was specially designed to delight the littlest adventurers! 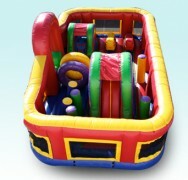 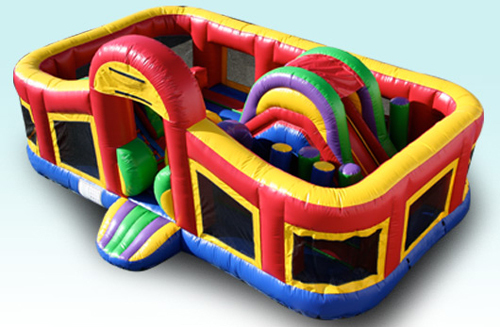 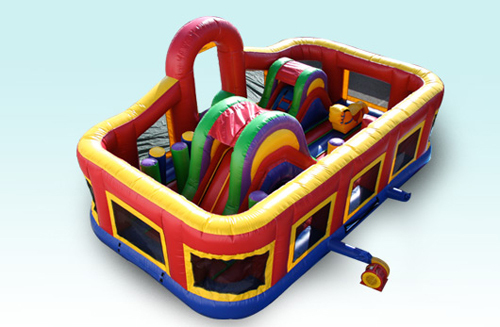 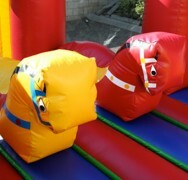 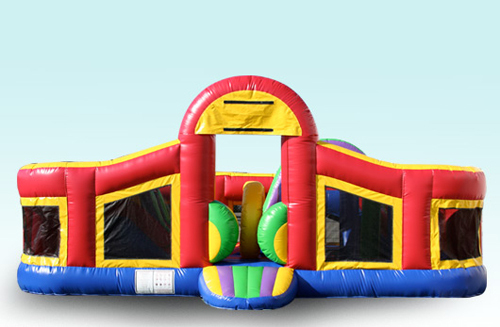 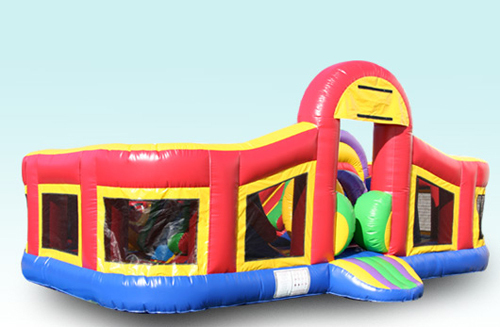 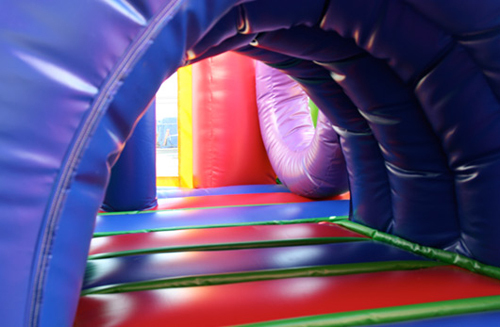 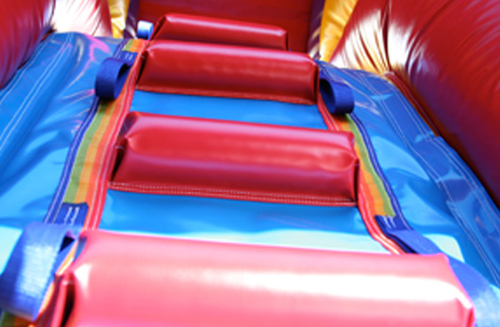 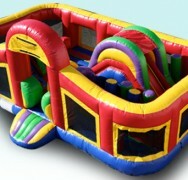 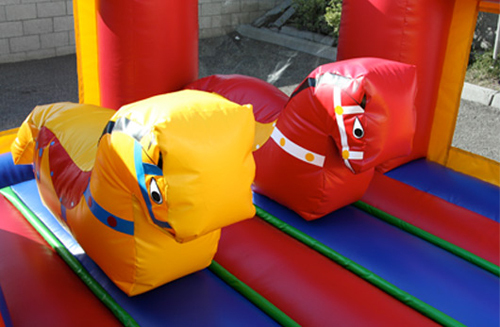 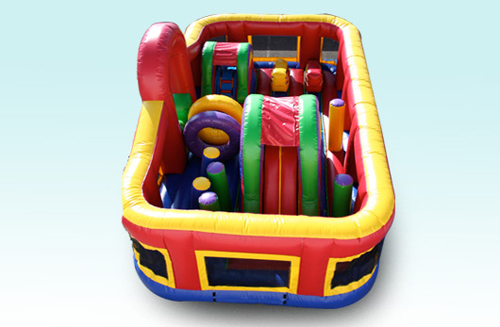 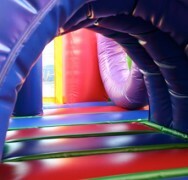 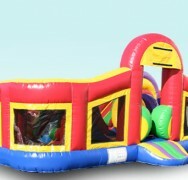 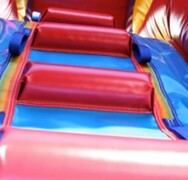 Ideal for age 6 and under, it contains inflatable rocking horses, two slides, tunnel, jump area, and lots of obstacles. 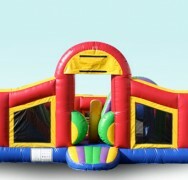 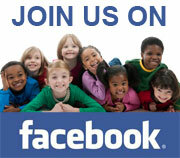 Dimensions: 16 ft x 23 ft. Accommodates 10 to 15 kids.